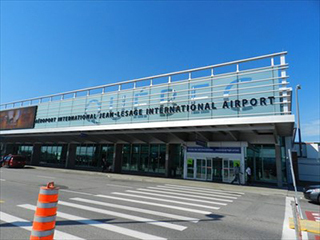 The number of passengers at YQB increased by 6.2% in 2018, reaching a total of 1.8 million pax and signalling steady growth for the 17th consecutive year. "In 2018, we welcomed 104,000 more passengers than in 2017. Over the past several years, we have made significant investments in the development, modernization and expansion of our facilities to respond to growing global traffic, remain competitive and offer a world-class passenger experience," stated Gaëtan Gagné, President and CEO of YQB. WestJet has added YYC as a new destination and increased the number of flights to YYZ from YQB. American Airlines doubled its flights to the U.S. and in 2019 will expand its offering with summer flights to ORD. The arrival of Air Canada Rouge for routes to YUL and YYZ has been very well received by pax. Air Transat added more summer flights to YUL to help its passengers travel to Europe. Sunwing added PVR as a destination. In continuing efforts to grow its route development, Aéroport de Québec says it is proud to welcome Routes America, the largest route development forum in the Americas, which is being held for the first time in Canada 12-14FEB. Hundreds of airline industry personnel from around the world will gather in Québec City to plan and negotiate the future of air services.